In 1993, Father Joseph Uhen, native of Milwaukee, who grew up in Oklahoma and graduated from the University of Notre Dame ’80, felt the call to serve the poor in Piura, Peru. He has been the pastor and only priest at Santísimo Sacramento Parish in Piura since then. He serves 40,000 faithful in Piura and the surrounding villages. In January of 2013, six SJV parishioners, led by Father Ken Knippel, traveled to Santisimo Sacramento Parish in Piura, Peru with a mission group from St. Anthony on the Lake Parish in Pewaukee. They participated in the packing and delivery of the monthly food distributions and saw firsthand that every cent of your donation goes directly to the family you sponsor. The missionaries saw the difference this support makes in their lives. Based on the mission experience with Santisimo Sacramento during this visit, an international twinning relationship was approved as a SJV ministry. In May of 2013, the Family to Family program was introduced to the SJV parish. In the first year of this ministry, over 80 Peruvian families have been sponsored by SJV parishioners and receive monthly food deliveries. The first annual adult mission trip took place in January of 2014. Fifty-one parishioners and friends traveled to Piura for a week to work with the staff at Santisimo Sacramento. During this visit, missionaries built bamboo houses, laid bricks for a new chapel, painted in the parish school, delivered food packages, worked in the hospice, went on communion calls to the homebound, visited two orphanages in the community and shared their faith with the Santisimo Sacramento community at daily Mass. A seventeen member surgical team performed 26 hernia repairs in the parish clinic facility. An adult mission trip will take place each January. 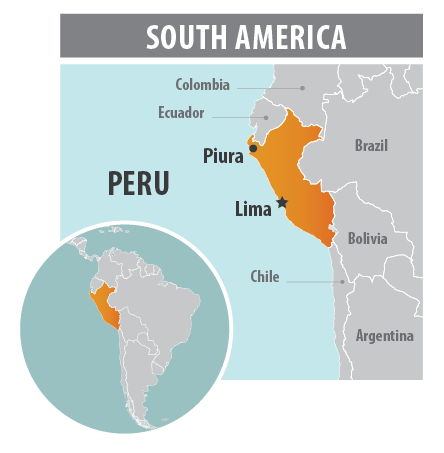 This very poor desert region is approximately 600 miles north of Lima and 25 miles inland from the Pacific Ocean. Sixty-three per cent of the people of Piura live in poverty and 22% percent live in extreme poverty. 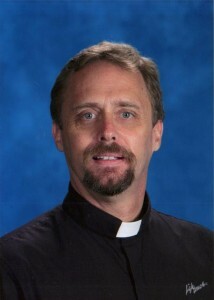 One of the most important ministries to the poor developed by Father Joe is the Family to Family Program. St. John Vianney and Santisimo Sacramento Parish in Piura, Peru have been involved in a sister parish relationship since 2013. There are numerous opportunities to support the ministries provided by the staff of Santisimo Sacramento to their parishioners who live in extreme poverty in Piura and its surrounding villages. In January of 2014, seventeen medical personnel from St. John Vianney and the Milwaukee community traveled with the SJV adult mission group to Santisimo Sacramento in Piura. Two surgeons performed 26 hernia repairs for people who otherwise would not have had access to these needed operations. Santisimo Sacramento has a medical clinic and surgical suite on-site at the parish facility. Medical personnel needed for the surgical team include anesthesiologists, scrub nurses or scrub techs, operating room, pre-op or recovery room nurses and medical interpreters. A surgical team will be traveling with the SJV mission group again in January 2015. Supplies and medications are required in order for the surgical team to perform these procedures. Donations or contacts with companies in the medical supply/pharmaceutical industry are needed. Please see the attached Medical Mission form for additional information. If interested in joint the surgical team or donating to the medical mission, contact Michele Wallace at 262-844-4583 or at mwallace4@wi.rr.com. “Family to Family” and “Sponsor An Angel” are just 2 of the programs that you may be interested in supporting. There are many others programs in need of support including: Girls’ Transitional Home; Mother of Good Counsel School; Women’s Shelter; New life Drug Rehab Center; Senior Center; Farmers; Santísimo Sacramento Medical Clinic; Casa Construction; In-Home Tiendas (general store); Los Angeles Hospice; and Santa Margarita Cemetary. The ministries brochure below gives a brief description of each of these programs. Learn more about our Sister Parish in Piura, Peru. When you stand at the edge of one of the many villages in Piura, Peru, you ask yourself: Can we make a difference? Is there really anything we can do?